Have you ever heard this statement? Have you ever said this statement? And I don’t know about you, but when I said it, it was meant as a justification—no, a license to continue in my sinful behaviors. 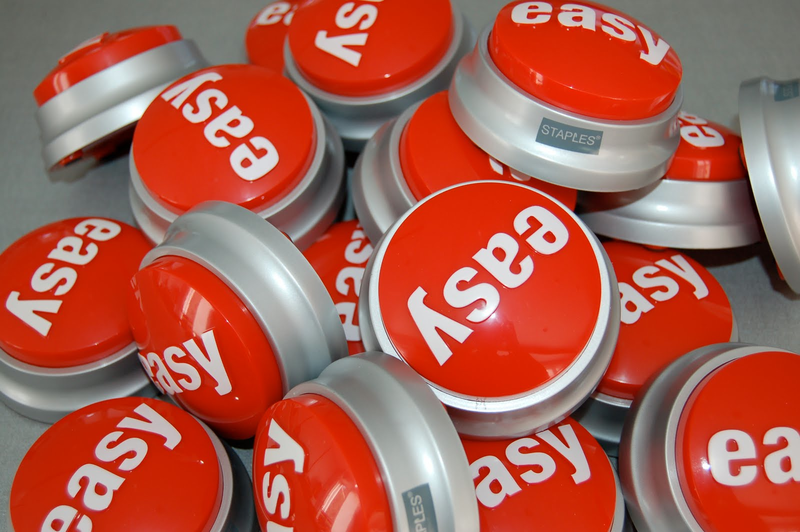 What is hitting the “easy button” for you? When my kids don’t listen, instead of “teaching in kindness” I hit the proverbial easy button, and I blow up at them instead. Or maybe my hubby needs “alone time” with me, but instead of not “depriving him” as Corinthians says, I hit the easy button by rolling over and going to sleep. To see the rest, pop over to the Ask God Today Ministries “Way In” Challenge link below! Like what you see? Get in on the rest of the challenge! And join the “Way In” Challenge Facebook group to chat about what you learned! Also, Check this out on Kelly Balarie’s Purposeful Faith #RaraLinkup Day! That’s AWESOME Kelly! I pray that you thinking leads to BIGGER thoughts of our Lord and Savior!! 😊 Hugs to you, my friend!